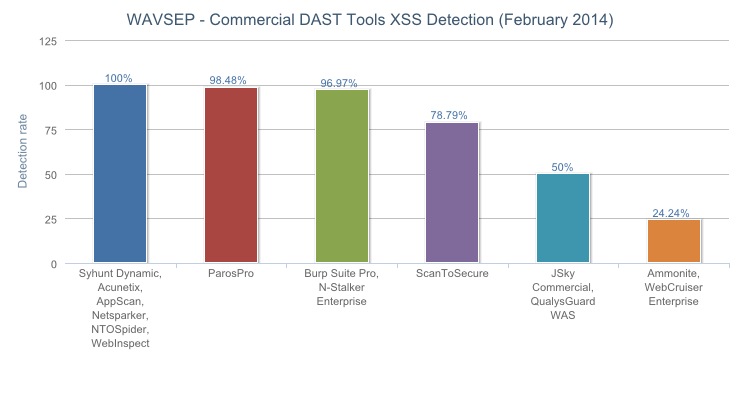 WAVSEP 2014 is an independent, up-to-date comparison of 63 black box web application vulnerability scanners and SAAS services, performed by the WAVSEP Project and published on February 5, 2014. 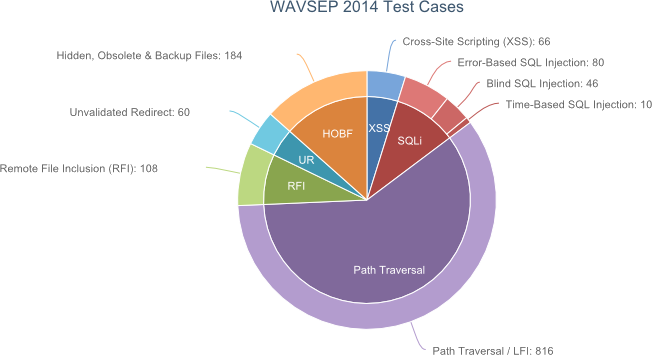 The main environments used to perform the WAVSEP 2014 assessment, WAVSEP 1.5 and WIVET 3-rev148, were again made open source and published online alongside the comparative review (at http://code.google.com/p/wavsep/ and http://code.google.com/p/wivet/, respectively). WAVSEP 1.5 comes with a collection of over 1000 vulnerable test cases (1413 test cases to be more precise) for 6 different attack vectors. Various government institutes and agencies worldwide use the platform as an assessment platform for vulnerability scanners, often as the main one. Generic Application-Level Vulnerability Detection Module: a collection of features that attempt to identify generic exposures in the application layer, without prior knowledge about the application and its structure, and while potentially overcoming barriers along the way. This module is the primary focus of this research. The purpose of the accuracy assessment is to see how effective each scanner is in detecting a variety of vulnerabilities, and to see whether or not the detection logic "settles" for simple scenarios, or covers a collection of common and advanced scenarios. 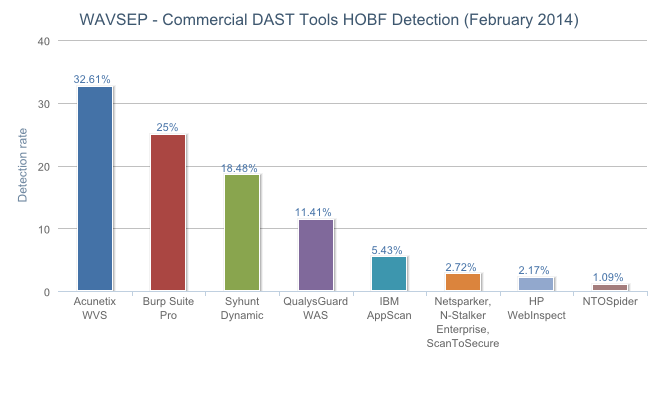 Since the latest benchmark, many open source & commercial tools added new features and improved their detection accuracy. 184 test cases that included Hidden, Obsolete and Backup files. 60 test cases that were vulnerable to Phishing via Unvalidated Redirect. 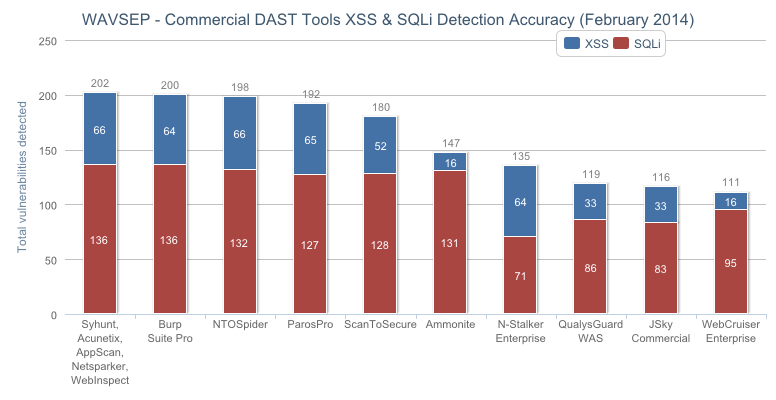 Additionally, the various scanners were tested against 43 different categories of false positive, covering Unvalidated Redirect, Obsolete/Hidden/Backup files, Path Traversal / LFI, Remote File Inclusion, Reflected XSS vulnerabilities and SQL Injection vulnerabilities. 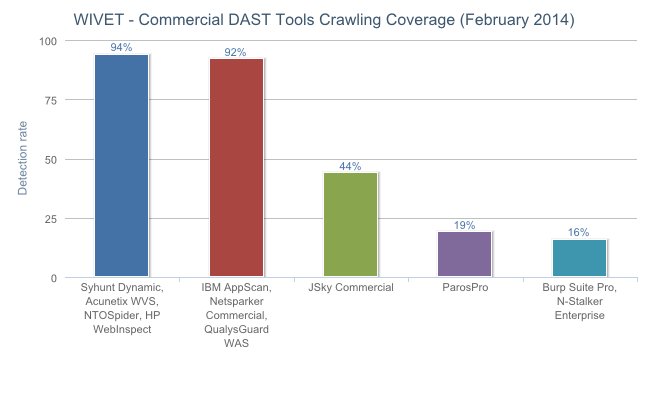 In order to assess the scanners attack surface coverage, the assessment included tests that measure the efficiency of the scanner's automated crawling mechanism (input vector extraction) , and feature comparisons meant to assess its support for various technologies and its ability to handle different scan barriers. This section of the benchmark also included the WIVET test (Web Input Vector Extractor Teaser v3-rev148), in which scanners were executed against a dedicated application that can assess their crawling mechanism efficiency in the aspect of input vector extraction. If you use scanners mainly in a point-and-shoot scenario, and prefer as much automation as possible, a high WIVET score will be the second most important feature you should follow. Syhunt Dynamic achieved 100% detection of SQL Injection vulnerabilities (both Blind and Time Based). 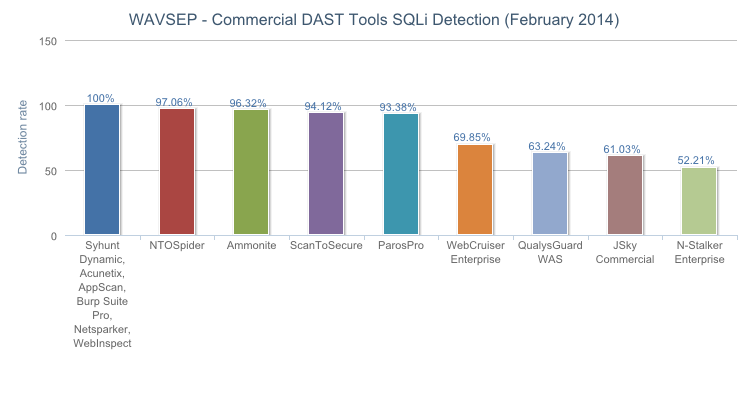 Syhunt, Acunetix, AppScan, Netsparker and WebInspect top the WAVSEP 2014 benchmark charts with 100 percent SQL Injection and XSS detection rates. Note: QualysGuard WAS is absent from the file inclusion chart because there were issues when trying to use its LFI/RFI plugins. At the time that the comparison was performed Syhunt Dynamic could not perform checks for unvalidated redirect. A plugin for detecting unvalidated redirects has been added later.